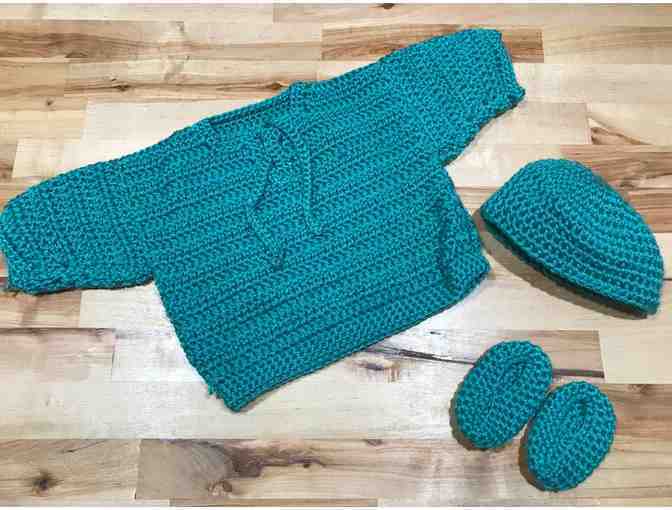 This homemade baby outfit is perfect for any occasion! Complete with a hat and booties, dress your baby in style! Shipping and handling fees may apply. Outfit is 100% machine washable. Your support matters, so Youth Choral Theater of Chicago would like to use your information to keep in touch about things that may matter to you. If you choose to hear from Youth Choral Theater of Chicago, we may contact you in the future about our ongoing efforts.